Giveaway begins 2/3/14 at 3pm EST (Noon PT). 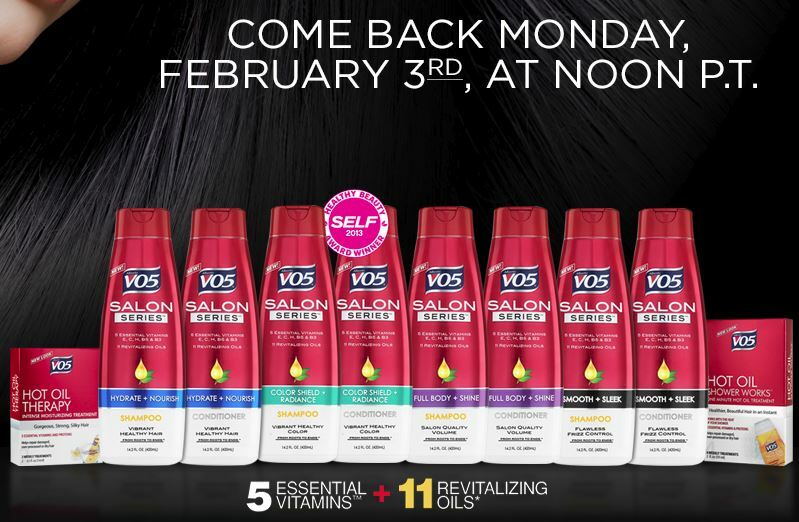 First 200 to enter will receive a coupon for a free shampoo or conditioner. Be sure to like VO5 on facebook ahead of time. Submit form right at 3pm to increase your chances at being one of the first 200!